Harry W. Mealy and Dena (Hoppe) Mealy began serving families of Waterford from our Main Street location in 1923. 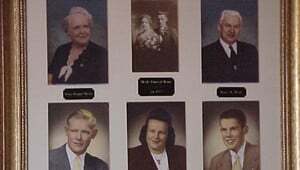 Over the years, Harry W. and Dena, along with sons Harry Jr. and Thomas "Spud", and daughter Ione (Mealy) Kojis have been involved with offering compassion and comfort to those in need. Spud Mealy reached out to the community and beyond, lending a helping hand to anyone in need. Spud and Ione ran the funeral home until Spud's untimely death in 1978 at the age of 49. Harry "Dudu" Mealy Jr. passed away in 1996. Ione Kojis continued working with families until August of 2000. Ione M. Kojis passed away peacefully on May 16, 2005 with family by her side, at age 78. Currently John E. Kojis, son of Ione M.(Mealy) Kojis, Funeral Director and President of Mealy Funeral Home is the third generation of the Mealy Family to operate the Funeral Home. John states: "Our primary focus is the family and their needs. We strive to help them plan a service that is personalized and memorable for their special loved one." John graduated from MATC Mortuary College in June of 2002. He is a third generation licensed funeral director and owner for Mealy Funeral Home. As his Grandpa Mealy always said, "Take care of families needs, it is a great reward to comfort others!" John brings a great sense of caring and compassion to his work, striving to make the hardest time in one's life just a little easier. John has been married to Barbara since 2002. He has two children Elizabeth and Steven. John enjoy's part-time farming, collecting antique snowmobile's, the Packers and spending time with his cat "Dr. Schnitman". Recently John joined the Waterford Area Kiwanis Club. Barb keeps the office manager. In her free time, Barb enjoys the company of her two quarter horses and numerous cats and is always ready to help a homeless animal in need. Please spay and neuter your pets! 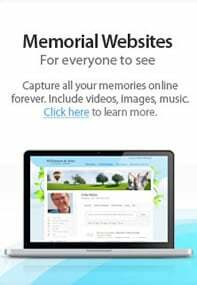 Ted has over 40 years of funeral experience in the Waterford and Burlington area's. For many years he worked along side John's mother Ione at Mealy Funeral Home. He is a member of St. Mary's Catholic Church in Burlington where he lives with his wife Gayle and their daughter Elizabeth, who is attending UW Madison. Ted brings experience and knowledge to our firm. Ted enjoys a good walk or bike ride around the city of Burlington! Joseph Quinn, Licensed Apprentice Director. Joe delivers quality and care to services held with Mealy Funeral Home. He understands family's needs with his 15 years experience and is there to help you through a most difficult time. Joe follows Chicago style professional Hockey and looks forward to a good round of golf.